This is a fictional track created by Quentin "Q" Waynick. The track was originally designed for use in NASCAR Heat and was named Deepsouth Speedway at the time. When I started converting the model over to rfactor I decided to make some slight changes and additions. 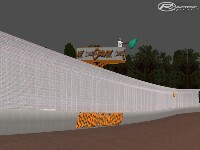 Grandstands I modeled for another track were incorporated into SOR as well as tire, flagstand and control tower models. Over the last couple of years I've been racing with a NR2k3 league called Southern Outlaw Racing or SOR for short. They were considering starting a dirt oval league and I thought it would be great time to give back the league that I've come to enjoy so much. 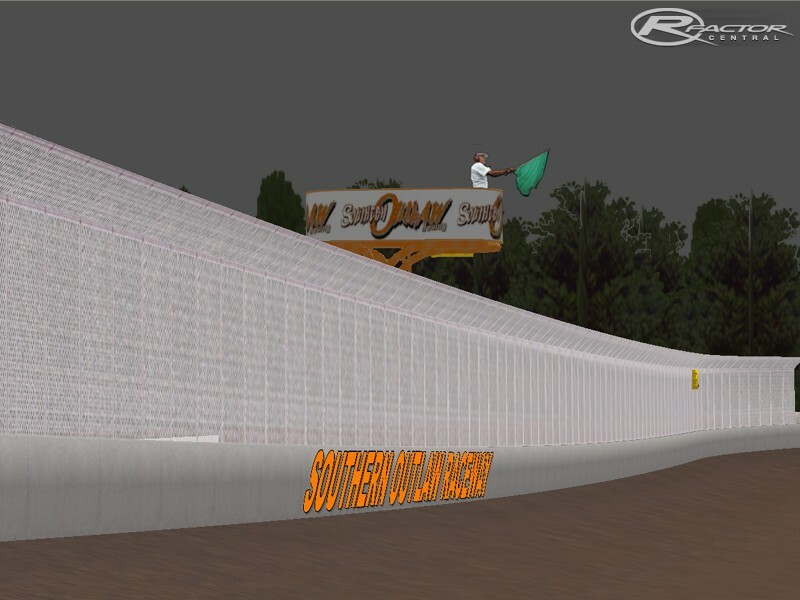 So, after speaking with the admin from SOR we decided to release the newly updated Deepsouth track as the new and improved Southern Outlaw Raceway. In doing so I personalize the track to be the home track for SOR. You'll find all the sponsors from SOR on the billboards along the backstretch and some paint was added to the walls to reflect the new track name as well. 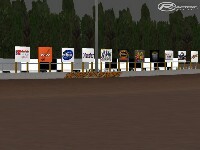 Drivers will take the flags out of the flagstand that bears the SOR logo as well. 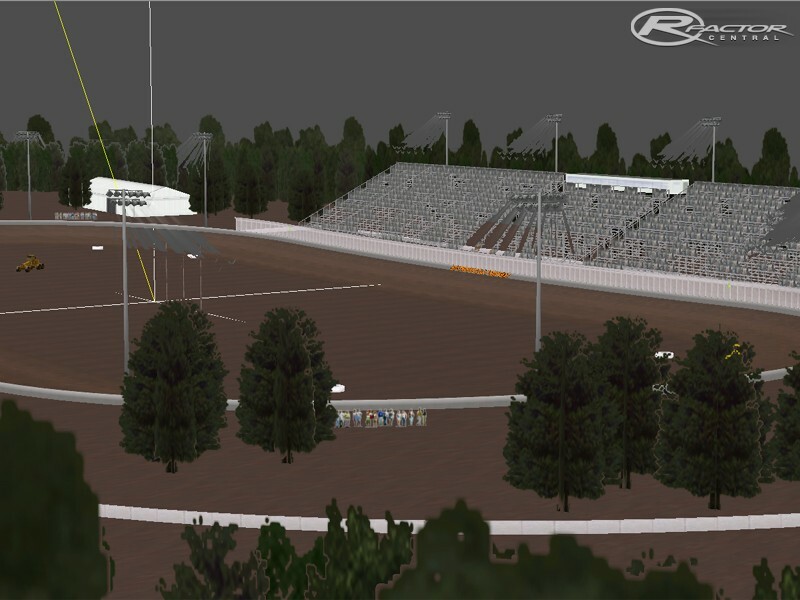 The track is listed as a 4/10 mile semi-banked red clay oval. Long straights and fairly tight turns. Pitting is done off the backstretch coming out of turn 2 and entering just before turn 3. The AI is competative for those offline racers who are looking for some good laps with other cars on the track. And the AI will act appropriately for online racing as well with the pacecar leaving the track in a timely fashion and the green falling when cars are exiting turn 4. 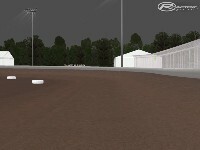 Grips have been set using the DF latemodels which SOR is planning on using for their new dirt league. During testing with the DF cars lap times top to bottom were consistant across the board. I'm sure that some drivers will find flaws in the grip settings after turning some laps. If we find a trend that shows that one line is faster than another I may consider updating the .tdf file to accomodate better racing and release it as a simple patch. I did some testing with the DSI cars here as well and found that the top line is about 2/10 of a second faster than the bottom in most cases. Some guys might be able to adjust the setups to make up the difference. 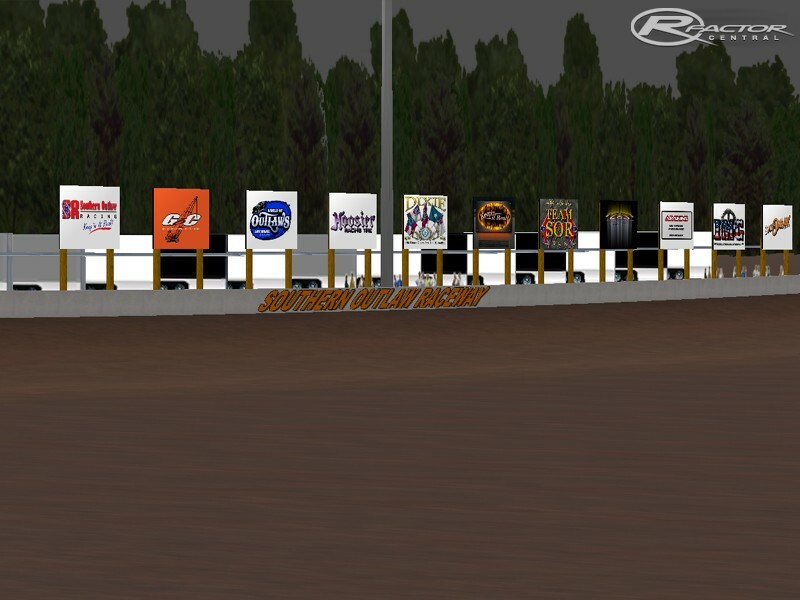 I may consider releasing an additional version of the track for DSI latemodels in the future. That was both sides of the fence will have a way to race this track. 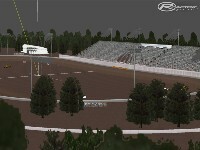 I think this will be a great racing track with lots of side by side action. I hope you all enjoy it. Be sure to take time to commend the people that helped me make this track possible. If I forget anyone please forgive me. To download the track please visit the Southern Outlaw Racing website using the provided link below where you will need to register to access the download section. Thanks for downloading and racing my tracks!